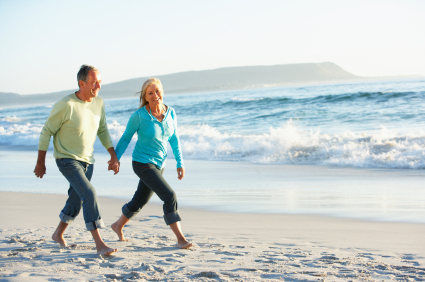 Keeping active is good for you, no matter what age you are. And, even if you haven’t exactly been an exercise junkie up until now, it is never too late to start! The National Ageing Research Institute in Melbourne recommends that seniors aim for at least 30 minutes of moderately strenuous exercise every day, to help ward off physical problems such as type II diabetes, heart disease and stroke. Other benefits of regular exercise include building stronger bones, and psychological benefits, such as improving social interaction, and reducing stress levels. Keeping fit and healthy can also help you improve your physical capabilities and stamina, so that you can maintain your independence for longer in your retirement, and enjoy a better quality of life. If you have never exercised before, or if you have health issues, the thought of starting a fitness regime can be overwhelming. Rest assured you don’t have to run a marathon or bench-press your own bodyweight to stay active and in good shape. It is always a good idea to consult your doctor before beginning any type of fitness regime, but you can often see benefits from just a few simple exercises a day. And, although it is easy to do strengthening exercises at home in front of the television, or even while you are doing the dishes, making use of community facilities can help you meet new people, and give you a chance to get out of the house. There are plenty of specialised gyms and exercise classes that cater to seniors, and if you are fortunate enough to live in a retirement village such as Point Cook, Cardinia Waters, or Beleura, you will be able to benefit from a range of facilities on your doorstep. The specific facilities vary from village to village, but generally most retirement villages have a swimming pool, gymnasium, a bowling green, and a wide range of different group fitness classes and activities available. Staying active does not mean that you have to undertake a formal exercise program either. The key to staying healthy and getting enough exercise is to find something you enjoy doing. This way, you can exercise regularly, without it feeling like a chore, but rather as something you look forward to doing with a friend or three. Regularly walking to meet friends or family living close by, or even gardening, are fantastic ways to exercise, and have the added bonus of being social. If you live in a retirement community, you will find you have plenty of options for things to do, including volunteering, social groups, clubs and other activities, which can keep the mind as well as the body active. Staying healthy and active is essential for seniors who want to enjoy a long and happy retirement. Retirement villages offer a multitude of opportunities for you to keep fit, connect with others and participate in the community, so you can truly make the most of your senior years.